See what is being said about you & your Business from every review site, blog post, news article, forum & Social Media Outlet on the Internet. Dedicated Reputation Manager with 24/7 Monitoring and 911Tracking Alerts. Real-Time updates from Tracking Account with Monthly Status Reports. Promote & Protect your online Reputation & Ratings by automatically Capturing & Publishing Certified Consumer Reviews on top ranking review site that will rank on your 1st page. Increase your overall review star ratings so your reviews get published and not filtered on leading review sites. 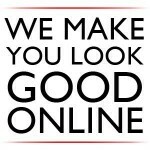 Monitor & Manage your Online Image. Our experienced investigators will uncover the source of negative reviews to determine if they are competitor driven, disgruntled employees, fake or spam. Online reviews now have the power to make or break your business and millions of customers are visiting these sites everyday from Google, to Yelp, Yahoo! Local and Citysearch. Your customers now find your reviews before they find you! Harvard Business School Study on Reviews, Reputation, and Revenue: found that just a one-star rating decrease can reduce revenues by nearly 10% for a business. Can I Remove Fake Reviews About My Business? Online review sites like Yelp and Google+ are susceptible to receiving fake reviews written by competitors, or disgruntled employees of a business. Because of this there are certain procedures set in place to report a fraudulent review and request its removal. The legal team at Reputation911 is experienced in working with these types of sites and can help businesses identify fake reviews and have them taken down to protect their online reputation. Can I Track How Many Customers See My Reviews? Yes, most review sites today have built in analytics such as Yelp, TripAdvisor, and Certified Consumer Reviews that can tell you how many customers are visiting the site, how long they are staying on the site, and where they're coming from. Can I Share My Good Reviews On Social Media? Yes, Reputation911's Online Review service allows you to share your positive reviews on multiple social media sites. This has now become the best "word of mouth marketing" for businesses looking to capture more customers. Can I Find Out the Identity of a Reviewer? 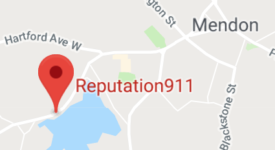 Reputation911's investigative and legal team are helping businesses everyday identify and remove fake competitor-driven and disgruntled employee reviews. Review sites are now required to keep identifying information such as IP addresses, emails, and locations of reviewers which we request to identify and remove these reviews.